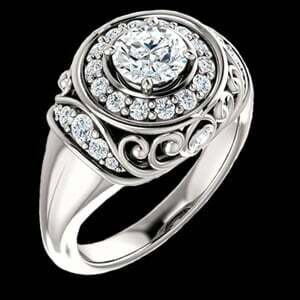 Platinum legendary design diamond engagement ring. 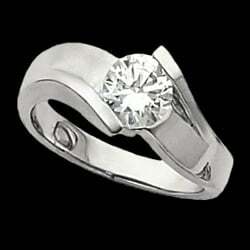 This great design is set with a 1/4 carat center diamond and around 1/5ct tw accent diamonds. Diamonds are SI 1 clarity G-H in color. 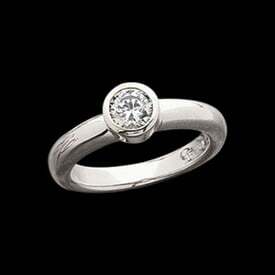 A lovely complete platinum engagement ring.